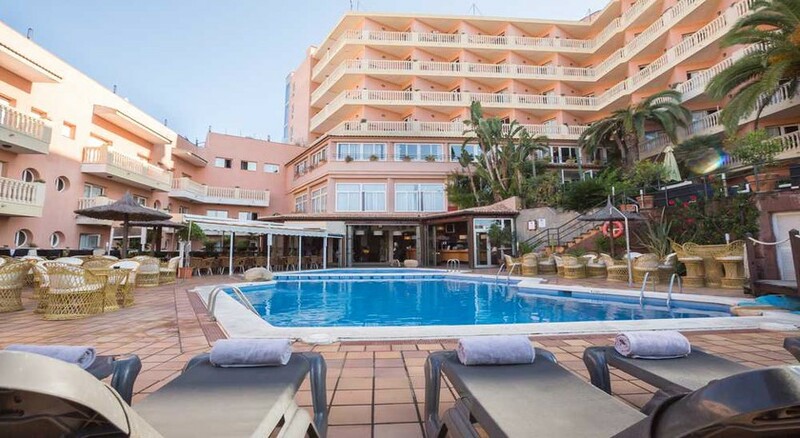 In the heart of Lloret de Mar (Gerona), you will find the Alba Seleqtta Hotel Spa, a 4-star property featuring an elegant, Mediterranean-style interior. Just a few minutes from the beach and located in a quiet area of ​​the coast, the hotel is surrounded by gardens with an outdoor terrace and pool. The hotel features a luxurious spa and solarium, perfect for those who wish to be pampered, alongside hotel facilities and services such as a private video-monitored parking, chill-out area, lounge rental, a 24-hour reception service, children's play area and entertainment. There is a cafeteria and restaurant offering themed meals at the hotel, a business center and rental offices, plus a panoramic elevator – ideal for soaking up the views. The rooms and suites at Alba Seleqtta Hotel Spa are available in options of Singles, Doubles, Family and Suites, each of which are spacious and equipped with air-conditioning, television, telephone, full bathroom, a Wi-Fi internet connection and terrace. 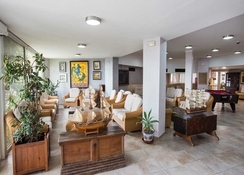 Alba Seleqtta Hotel Spa is located in Costa Brava, in Gerona, just a few minutes from the beach. 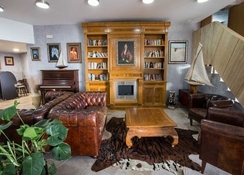 The hotel is situated in the town of Lloret de Mar, a quiet area close to exciting tourist and cultural points of interest, with a wide variety of beaches and coves in the vicinity too. The Costa Brava Girona Airport is at a distance of 30km from the hotel. The Lloret de Mar beach is at a distance of 1.5km from the hotel. Alba Seleqtta Hotel Spa has 180 rooms, including a Suite and a Junior Suite, Double and Single Rooms with comfortable and spacious facilities available to its guests. Included in the rooms are large terraces with spectacular views of the resort, a bathroom with hairdryer, internet connection by Wi-Fi, television, telephone, air conditioning, minibar and safe. All rooms have a minibar, coffee machine, safe and work desk. Guests can choose from half-board, full-board, all inclusive or breakfast. International food is offered in the in-house restaurant. Moreover, diabetic- friendly foods can be found on the menu. Around the hotel there are several restaurants, for example the restaurant Il Forno, the restaurant CA L'Enric and the restaurant Tunel. In Lloret de Mar you will find a varied nightlife. The hotel is close to venues like Colossos, Londoner and Bumpers. In the hotel you can enjoy a restaurant with show cooking and a tropical bar. 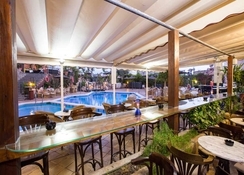 Alba Seleqtta Hotel Spa features a luxurious spa, chill-out area, outdoor terrace and swimming pool, as well as tourist information, 24-hour reception, laundry service and children and adult entertainment. Recreational areas and rooms with different designs are offered. And they admit pets. Spa facilities include a hot tub, hammam and steam room – ideal if you wish to unwind. The pool area offers an indoor and outdoor pool. Guests can also enjoy table tennis, billiards and darts at their leisure. The children are invited to conquer the children's playroom and the playground. Please collect your keys from reception. A city tax where applicable is to be paid in cash locally. The rooms were clean and tidy had a lovely view to go with it, the beach was only a few mins away and there was also local market and shops restaurants etc... the only down side is the staff were sometimes rude when asking for help.